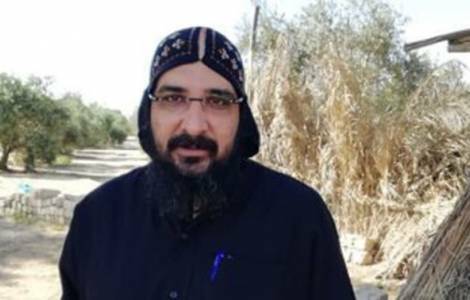 Cairo (Agenzia Fides) - Monk Zaynoun al Makari was buried on September 28th in the cemetery of the Coptic Orthodox monastery of St. Macarious, who died of a heart attack following the first investigations by the police. An initial examination of the body suggested that poisoning might have been the cause of death. The monk suffered from heart disease and was saddened by the recent disposition of his superiors who had moved him from the monastery of St. Macarious, in the Wadi Natrun region, to the monastery of Koussia, in the province of Assiut. The confreres reported that they ran into the monk's cell when they heard that he was complaining loudly. The ambulance was immediately called, which arrived at the monastery when the monk was already dead. Many drugs were found in his cell among the personal effects of the monk. According to Anba Bijoul, abbot of the monastery in Koussia, Zaynoun was on good terms with everyone; he had entered a convent in France, then moved to Egypt where he lived for 20 years in the monastery in Natroun. After the murder of Coptic Orthodox Bishop Epiphanius, Zaynoun had been called to offer his testimony from the defenders of the other monks Isaiah and Filtaos, accused for the murder of Anba Epiphanius. Zaynoun was a member of an open group on whatsapp to discuss the problems and the management of the monastery. Anba Bijoul, abbot of the monastery of the Blessed Virgin "al mahrak" in Koussia, in the province of Assiut, confirmed the good relations that linked Zaynoun to his confreres. According to reports by the abbot, monk Zaynoun had moved away from monastic life for 3 days after a week of his arrival in Koussia, but then asked to be readmitted, and his request had been accepted without problems.